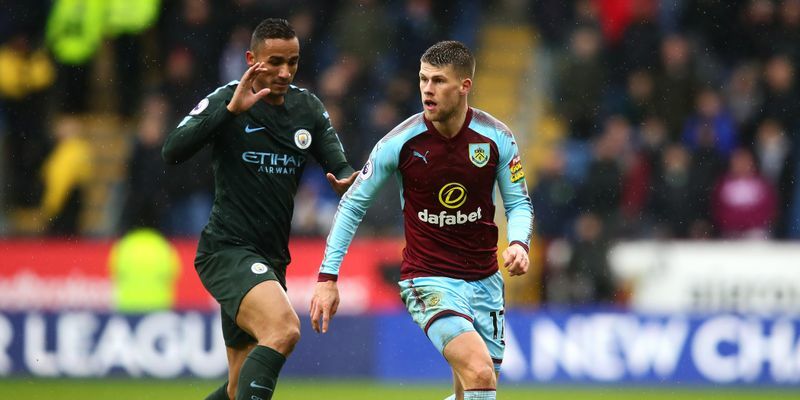 Burnley managed to play out a draw against Premier League’s leaders Manchester City, thanks to Johann Berg Gudmundsson who scored his second goal of the season on Saturday. Alexis Sanchez helped Manchester United beat Huddersfield Town 2-0 at Old Trafford to reduce the deficit to 13 points. Right from the get-go it was all City, who had 71% possession in the game, and the visitors finally laid a foundation towards a win at Turf Moor when Danilo’s long-distance effort resulted in the first goal of the game. The visitors managed to enter the break with a 1-0 lead and looked very comfortable with 10 minutes to go. However, in the 83rd minute, Johann Gudmundsson brought his side back into game after Raheem Sterling had missed a sitter at the other end. City, who led the points table with 69 points in 26 games, will face Leicester City on next Saturday and on the same day, Burnley will play against Swansea. The first half of the game was an uneventful affair as both sides were seemed unable to find the back of the net target successfully on their opponent’s goal post. In the 55th minute of the clash, Romelu Lukaku put the hosts in charge as he got at the end of a Juan Mata cross to finish from close range. Sanchez made his home debut special as he doubled the lead in the 68th minute of the game after following up his penalty that Lossel had saved. This win and City’s draw game decreased the points difference between City and United to 13 points while it was fifth consecutive loss for Huddersfield who are now spotted on the 19th position. In the next game, United will face Newcastle on February 11 and Huddersfield will play against Birmingham on Tuesday in FA Cup Fourth-round replay. After losing their last game to Swansea, Arsenal successfully started the game against Everton at the Emirates with the help of the Aaron Ramsey who scored his first hat-trick for the club. Just after six minutes of the start, Ramsey opened the goal tally before Laurent Koscielny headed in a second at the far post before Ramsey doubled his tally for the night. New signing, Pierre-Emerick Aubameyang, then joined the party and ensured the team entered the break with a 4-0 lead. In the 64th minute of the clash, Everton finally managed a consolation goal thanks to Substitute Dominic Calvert-Lewin who’s effort helped the side to decrease the loss margin. Before the end of the game, Ramsey completed his hat-trick from low Henrikh Mkhitaryan cross. Next Saturday, Arsenal who is in the sixth position will face Tottenham and on the same day, Everton will play their home game against Crystal Palace.